New studies indicate that the fibers in our clothes could be poisoning our waterways and food chain on a massive scale. Microfibers — tiny threads shed from fabric — have been found in abundance on shorelines where wastewater is released. In fact, 85 percent of the human-made material found on the shoreline were microfibers, and matched the types of material, such as nylon and acrylic, used in clothing. 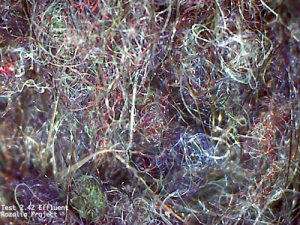 Microfibers are so small, too small to see. They can be as small as 3 microns. In comparison, a human hair is 50-100 microns. In a recent study (http://brenmicroplastics.weebly.com/project-findings.html), researchers at the University of California at Santa Barbara found that on average, synthetic fleece jackets release 1.7 grams of microfibers each wash. That’s approximately 1,900 individual fibers. For those connected to a sewer system, the microfibers travel to the local wastewater treatment plant, where up to 40 percent of them enter rivers, lakes and oceans, according to the research findings. Synthetic microfibers are particularly dangerous because they have the potential to poison the food chain. The fibers’ size also allows them to be readily consumed by fish and other wildlife. These plastic fibers have the potential to bio-accumulate, concentrating the toxins in the bodies of larger animals higher up the food chain. These tiny particles also have the potential to impact septic systems, since most washing machines don’t filter out particles and the current available add-on filters designed to keep lint out of septic tanks still don’t catch the tiniest fibers. Since the particles are so small they will be resistant to settling in the septic tank and will pass through effluent screens. It is likely that most of these fibers are captured in the soil treatment system, creating concern for plugging of soil pores over time. There appear to be no easy answers. One way to begin to address the problem is to try to make clothes that shed fewer plastic fibers when washed. Researchers are working collaboratively with designers to create fabrics that are more durable and release less plastic waste during wash cycles. Another way to address the problem is to tell customers to reduce the amount of times synthetic clothing gets washed, and when need be, use washing machines with filters installed that catch the microfibers in the wastewater. 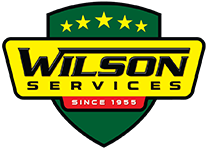 Although filters are not a common feature in washing machines, some manufacturers do include them and aftermarket filters are commercially available (although they currently do not filter out microfibers). Other, more innovative filters are under development. One example is the Rozalia Project’s microfiber catcher, which will collect microfibers as well as hair, and prevent them from flowing out with the drain water, and is reported to be available in 2017. It is also better to use front-loading, high-efficiency washing machines instead of top-loading washing machines. Researchers found that top-loading washing machines released five times more microfibers than front-loading washing machines, and the more you wash it, the worse it gets (aged jackets released almost two times the amount of new jackets). The final place to catch microfibers before they are flushed to surface waters is at wastewater treatment plants. Although a typical secondary treatment plant will NOT do an effective job removing microfibers, plants that employ tertiary treatment to produce reclaimed water for non-potable uses typically use filtration that would remove microfibers. Wastewater treatment plants that use advanced treatment to produce potable water use micro-filtration (as well as other technologies), which will also effectively remove microfibers.